The Dermatology & Laser Medical Center offers a wide range of spa services from waxing to signature, dermatologic facials. Our trained aestheticians have developed priority laser combination facials designed to address mild hyperpigmentation, acne scarring, signs of aging and routine maintenance. Microdermabrasion is a minimally invasive procedure used to renew overall skin tone and texture. This is a painless procedure that uses a special diamond tip applicator with an abrasive surface to gently sand away the thick outer layer of the skin. You can expect for the treated area to be a little pink for a few hours after your treatment. It can improve the appearance of sun damage, wrinkles and fine lines, age spots, acne scarring and melasma. PRP (Platelet-rich Plasma) + Microneedling is a remarkable breakthrough in modern, aesthetic treatments. Our physician will first take a sample of your blood and spin it in a centrifuge to separate the growth factors (PRP) and prepare it for your treatment. During microneedling a physician uses a small device with small needles or a derma roller to create micro wounds in the skin that penetrate down to the dermis layer to stimulate collagen production. Following microneedling our physician will use the PRP as a serum and generously apply it to your face to promote natural healing. Patients have seen vast improvement in the appearance of aging and acne scars after just a few treatments. A chemical peel is a treatment in which a chemical solution is applied to the skin that causes it to exfoliate and eventually peel off. After the skin has flaked off the new, regenerated skin is smoother and more even in tone. It can help improve mild skin discoloration, smooth out the appearance of rough skin, age spots, treat some precancerous skin growths, i.e. actinic keratosis, smooth out fine lines and wrinkles, smooth out acne scars, dry up an active acne breakout and restore PH in the skin. 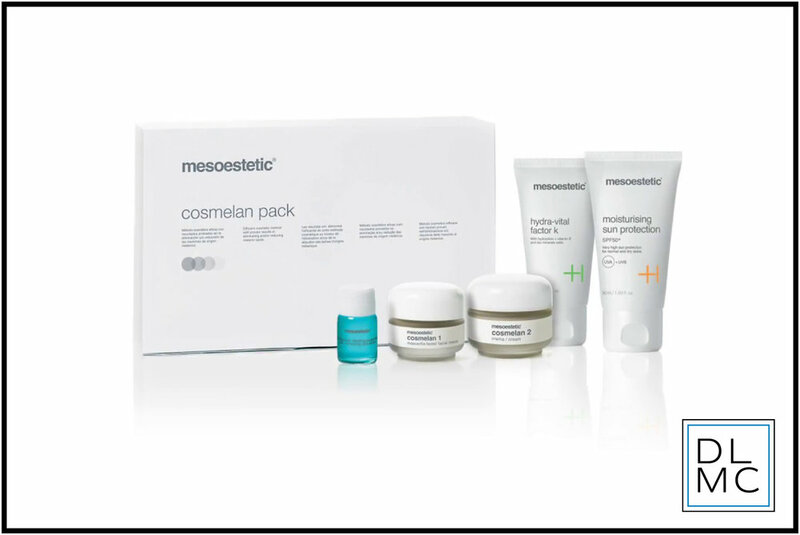 Cosmelan is a deep, exfoliating peel that improves texture and pigmentation. It’s applied in a physician’s office and left on the skin for 8-10 hours, then the peeling will occur over 10-15 days.